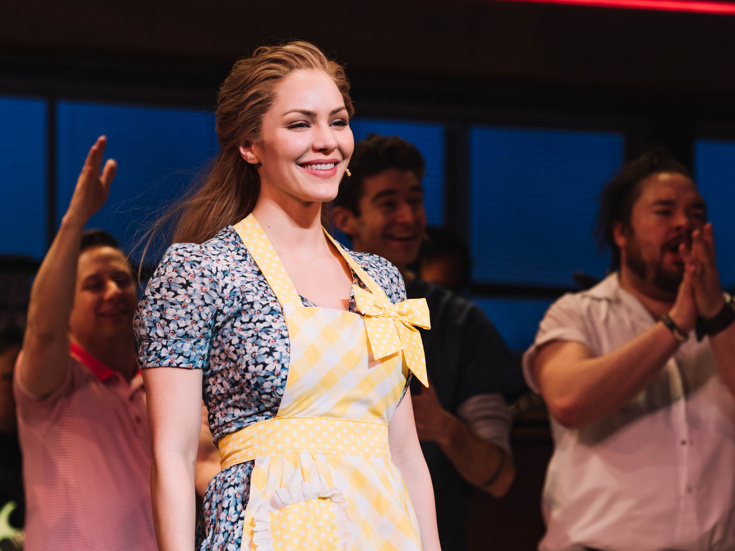 TV actress and American Idol runner-up Katharine McPhee told Broadway.com that wrapping up work on the Broadway-themed series Smash made her want to star on the Great White Way even more. She explained, "It was just like it was kind of a part of the Broadway community, but not 100 percent." 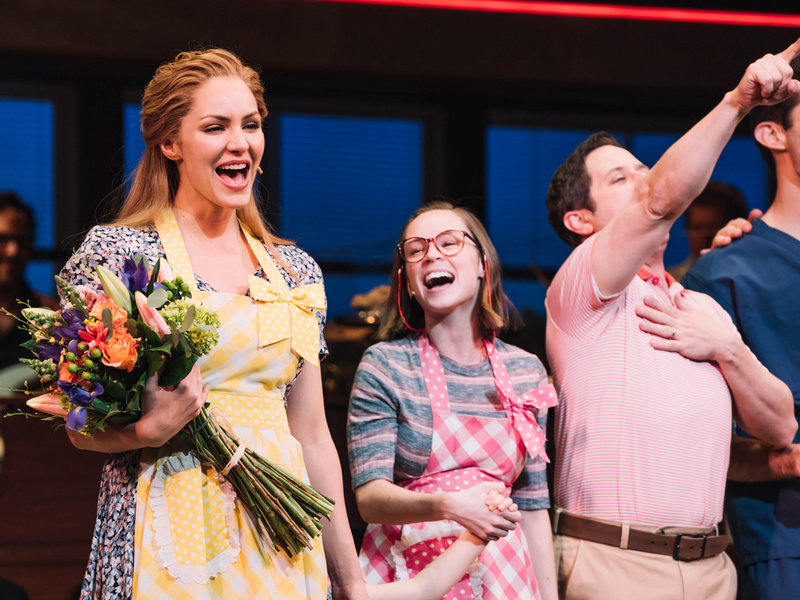 McPhee made it 100 percent on April 10, when she took her first bow as Jenna Hunterson, the pie-making lead of Waitress. Check out the photo of McPhee excitedly making her Broadway debut below, and you can catch her limited engagement in the role through June 17. Katharine McPhee accepts flowers alongside cast members Caitlin Houlahan and Christopher Fitzgerald.